It's time to log into your router, but how do we get in? Most devices come with a set of default credentials, but sometimes that's not enough. In this guide, we'll go over the router authentication and reset process for 2018's most popular ISPs. First things first, we need to know what we're working with. ISPs usually provide customers a combination device that provides the utilities of both a modem and a router. Modems connect your home with the ISP to provide internet service, while routers are used to share that connection with devices on your network. Give your device a good look over. You want to look for any sticker that might have identifying information. Take note of the router model. In order to log into a router, you need to find the right address. In most cases, this is an IP address. However, some ISPs use their own router management software to help their customers adjust network settings. This table shows the proper address for the most common ISPs. Open a web browser and visit the address of your router listed above. You will now see the router login screen. When an ISP ships out a modem or router for you to use, it likely came with a default username and password. Below is a chart of the most common ISPs default usernames and passwords. 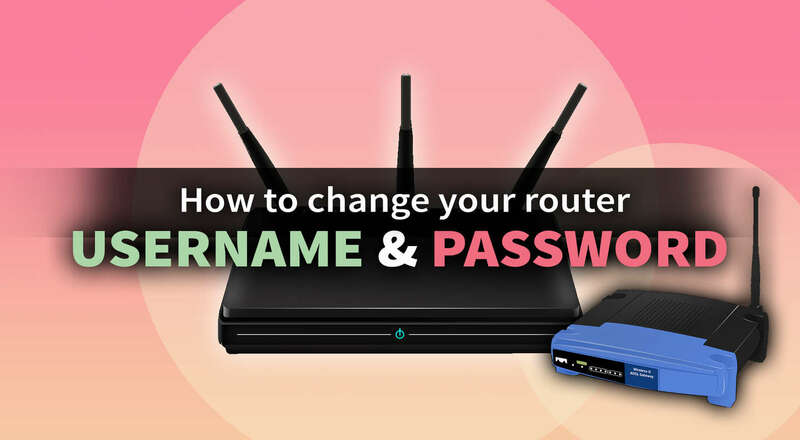 Use the appropriate information to log into your router. For some authentication issues, you may find it's necessary to factory reset the router. This process will wipe the existing credentials, restoring them to default. You can review the below chart for specific factory reset processes.